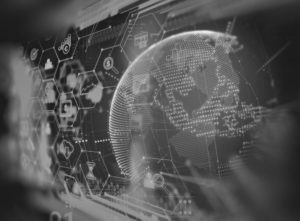 Blockchain | Orsinger Law Group, P.C. The areas of the law with which Mr. Orsinger deals are extremely niche and not well understood by many practicing attorneys. One such area is blockchain technology. What Does Blockchain Technology Entail? Blockchain technology refers to “an incorruptible digital ledger of economic transactions that can be programmed to record not just financial transactions, but virtually anything of value.” In other words, blockchain technology is a digital spreadsheet of sorts that can duplicate itself thousands of times across a variety of networks, which can then update on a regular basis. Blockchain is technology, but something so impressive is bound to create more than a few legal headaches. As the blockchain environment grows and changes, it will continue to present new challenges that businesses, suppliers, and their customers must both overcome and protect themselves against. One such challenge is the need to address inconsistent and often vague regulations that span multiple jurisdictions, as well as anticipate future regulatory changes and prepare for them. To navigate this increasingly complex and ever-changing ecosystem, businesses need to retain the help of legal counsel with extensive experience and knowledge in the area of blockchain technology. With the right legal support, businesses can achieve compliance, mitigate risks, and avoid complex and costly legal battles. Whether your business is internet based or not, chances are that blockchain technology laws apply to you in some way. For instance, banking and insurance companies use the technology to reduce transaction processing times. Agricultural and industrial companies use it to improve their supply chain logistics solutions. Healthcare companies use it to secure medical records, and, of course, internet and social media companies use it to build and manage content databases. Money transmission, currency conversions, and similar money services issues. The team at Orsinger Law Group is prepared to help you navigate any issues pertaining to blockchain and do what is necessary to make the technology work hard for you. Contact our team today to learn more.